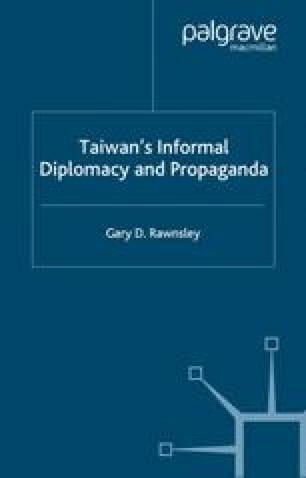 The international politics of the Republic of China (ROC) on Taiwan2 has presented scholars with opportunities and problems in equal measure. While many of these turn on phrasing and terminology, others are more concerned with abstractions, definition, even questions of legality. Is the ROC a government, a state, a nation, or a province of China? What can we learn about such issues as recognition, legitimacy, even morality from the ROC’s involvement in the international arena? Are governments that deny the ROC recognition in favour of the People’s Republic of China (PRC) behaving in a rational, responsible, or erratic fashion? The art of diplomacy would become impossible if more people knew how to hold their tongues.